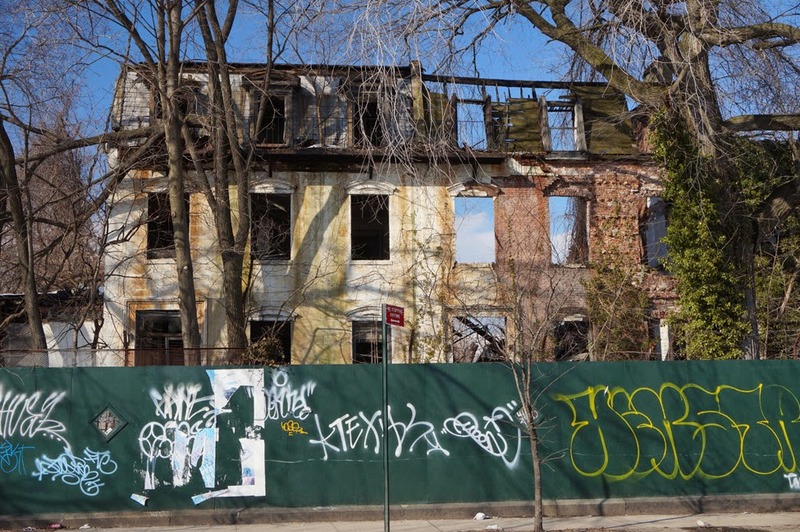 Known as Admiral’s Row, the collapsing houses along Flushing Avenue in the Brooklyn Navy Yard once housed high-ranking naval officials and their families. The homes were built between 1864 and 1907 and include elements from various architectural styles that were fashionable in the 19th century. Although various styles were incorporated in the design of the quarters, elements of the Second Empire style are the most dominant. 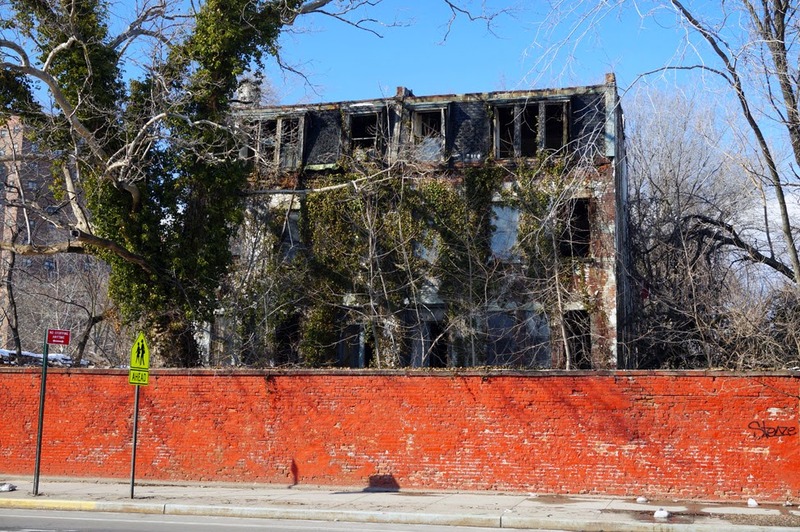 The Navy Yard closed in 1966; however, the residences along Admiral’s Row remained occupied by national guardsmen until the 1970’s. Once the houses were abandoned the copper pipes were looted, homeless sometimes squatted in the buildings and feral dogs roamed the site. 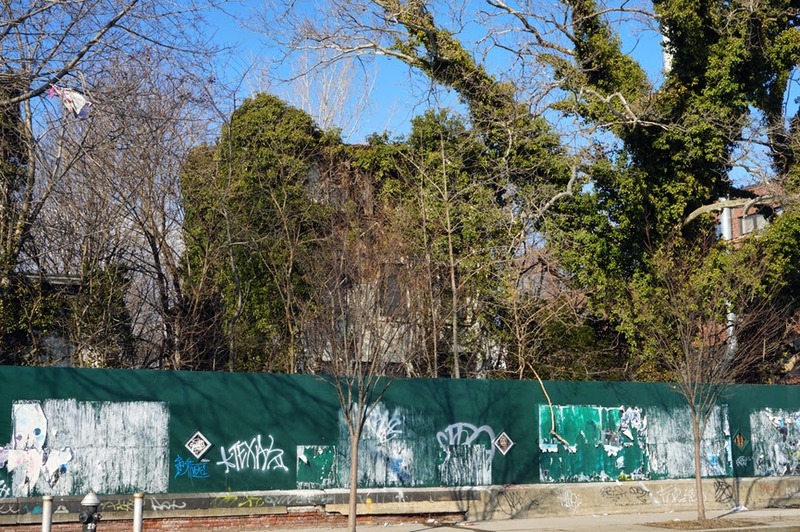 After the redevelopment of the Navy Yard began, the homeless and feral dogs were evicted and the site was secured. However, since the 70’s neglect of Admiral's Row has been constant and nature continues to ravage the structures. 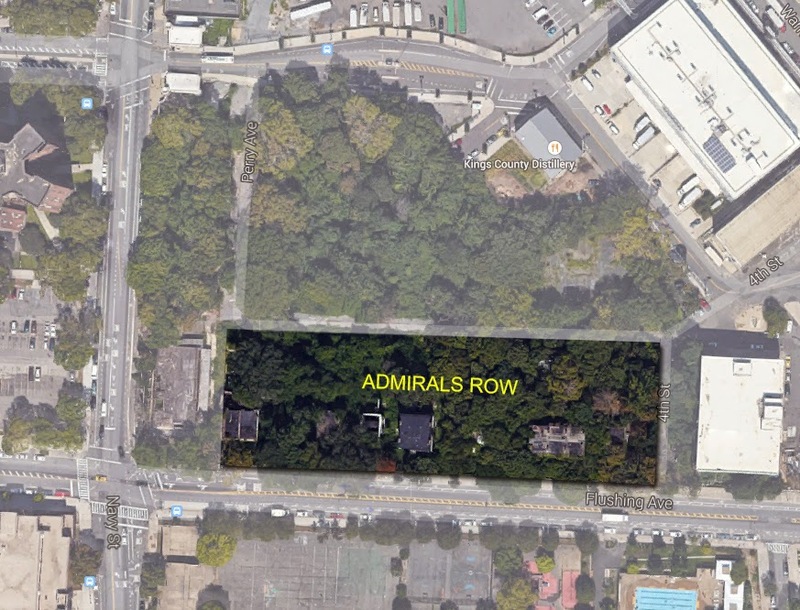 Preservationists from Fort Greene and Pratt have lobbied for the restoration of Admiral’s Row while the Brooklyn Navy Yard Development Corporation, who owns the site, has tried unsuccessfully to have a shopping center built where the houses currently sit. 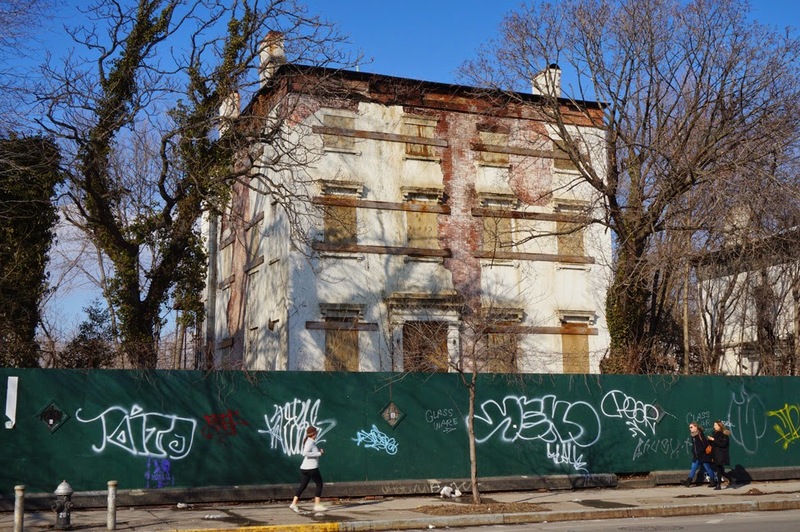 Although, according to Curbed another request for proposal (RFP) to develop the site into a grocery store was issued last July. 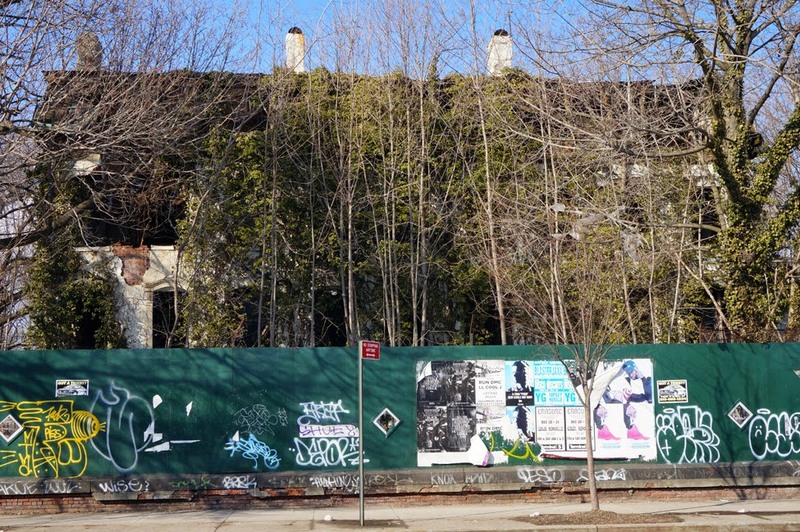 Included in the RFP is the requirement that one of the houses and a nearby woodshed be restored while the rest of the former residences are to be razed. 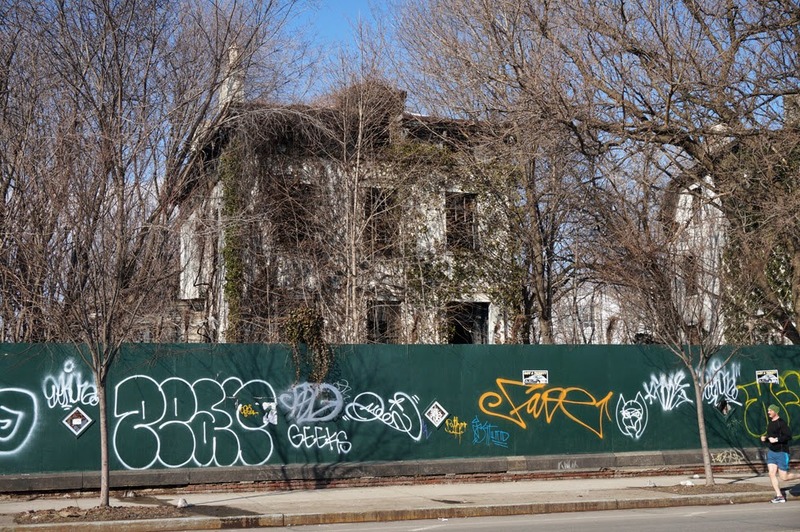 The Brooklyn Navy Yard Development Corporation has done an admirable job promoting the preservation of other structures within the yard but when developers propose demolishing historic, albeit dilapidated houses to build a placeless “suburban shopping center” it’s no wonder that they are at odds with preservationists. Built of limestone and glass, the cathedralesque Roman Catholic building on the northwest corner of Vanderbilt and Lafayette was constructed 1910-1915. The complex was commissioned by Cardinal George Mundelein and designed by architect Gustave Steinback of Reiley and Steinback. Steinback was one of the top Catholic Church architects of his time. 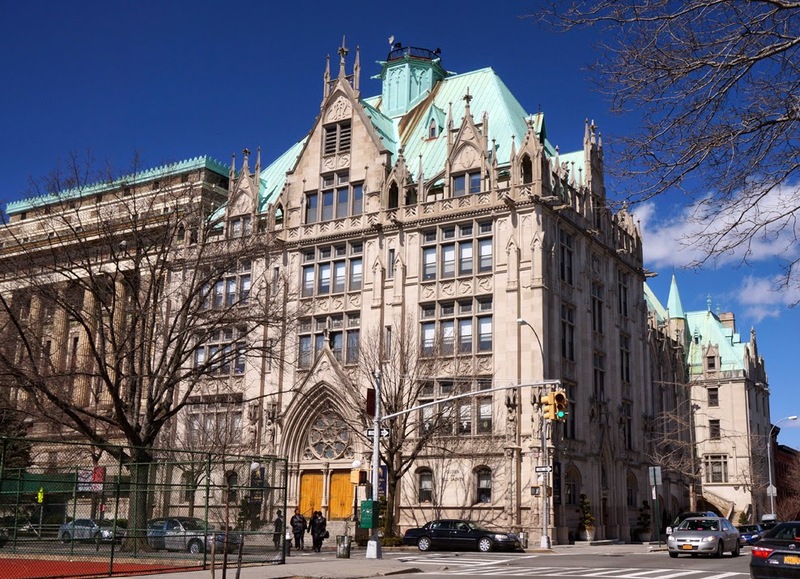 His portfolio included churches like the Church of the Blessed Sacrament in Manhattan, St. Benedict's School in the Bronx, St. Joseph College in Brooklyn and St. Michaels Church and Monastery in Brooklyn. The windows were produced by Locke Decorative Company which was owned by prominent stained-glass artisan Alex S. Locke. 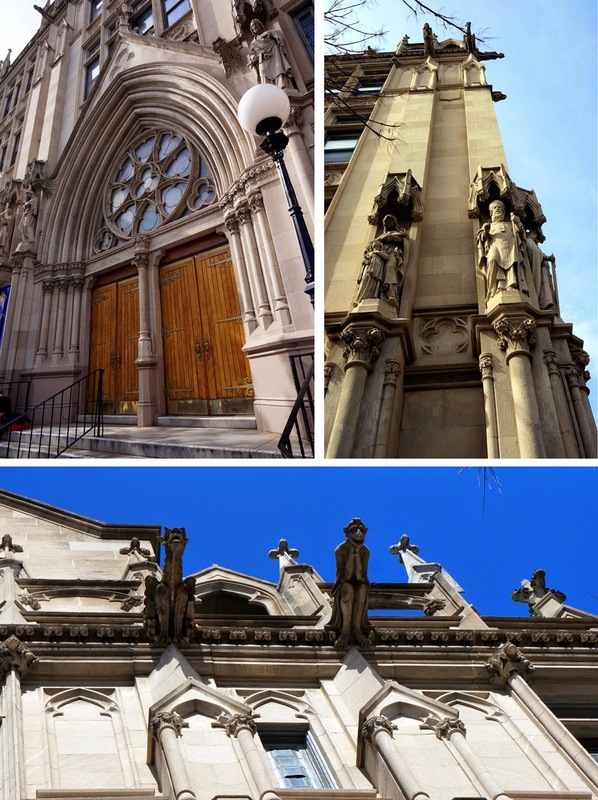 According to the AIA Guide to NY this Gothic style structure is “reminiscent of the Sainte-Chapelle in Paris”. The complex is comprised of a school, church and rectory. The school is at the front of the structure and can be distinguished from the church by its rectangular windows with clear glass. The church’s apse is the central portion of the complex and has pointed-arched windows with stained glass. The entrance to the church is at the front of the complex and tunnels through the school. The rectory at the rear has rectangular windows with clear glass and is the only building in the complex with a mansard roof.